Gordon was a small, brown, stuffed gorilla. He lived on the bathroom shelf with a lion named Lion and duck named Duck. Gordon’s home was in the middle of a very large city where the traffic roared all day and all night. He couldn’t remember ever living anywhere else. But one day, most unexpectedly, Gordon was kidnapped from his home by a roly-poly woman. The roly-poly woman who was staying with us took me away in her suitcase. For a long time, I was in a dark place. It was bumpy and noisy, and I was scared. 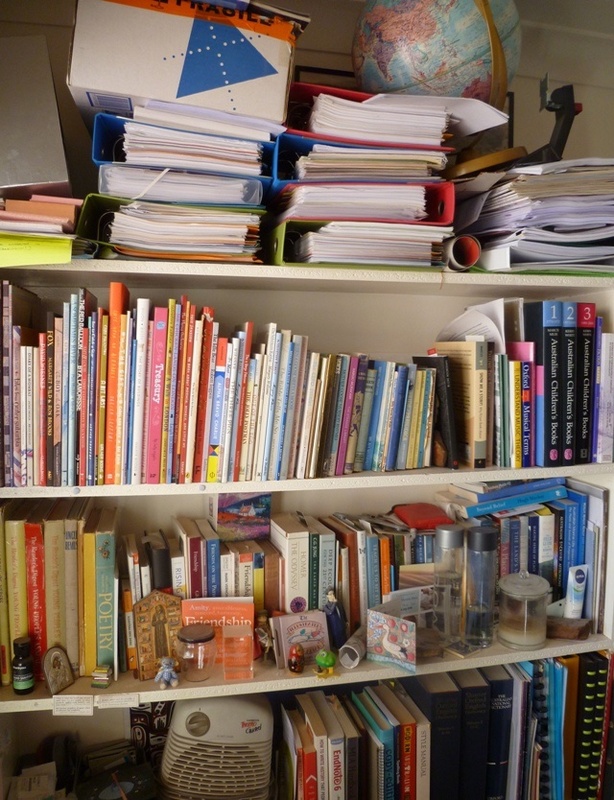 When all the moving stopped, the woman took me out of the suitcase and put me in a jumbly room with lots of books. I miss you very much, but I am trying to be brave. Say hello to Duck and Lion for me. Tell them not to worry. I will write again when I can. Two days passed. Gordon was feeling sad. Once again, he wrote home. I am lonely here. The house is very quiet during the day. If it is quiet again tomorrow I will go exploring. Perhaps there are other animal toys here. The roly-poly woman shuts the big door to the jumbly bookroom, but there is smaller door that stays open. I will try the small door and see where it goes. The next day Gordon was brave enough to go exploring. This is what he wrote about his discoveries. I have wonderful news! I went exploring through the small door and there are other animal toys here! They are much bigger than me. There are some very large teddy bears who keep to themselves. But there is also an elephant called Flynn and another gorilla called Jackson. I like Flynn and Jackson very much. They are friendly and kind. I feel much better now. Flynn and Jackson say there are even more animal toys in other rooms and they will take me to meet them. It was many days before Gordon wrote again. His life had become quite busy in the house of the roly-poly woman. He visited friends in other rooms and roamed along the passageways and then scurried back to the jumbly bookroom when he heard the woman’s footsteps. During one of his expeditions, Gordon found a room he had not been in before and inside that room he found an animal toy he had never met before. Gordon and Kim introduced themselves. They liked each other straight away. In fact, they became instant friends. From that day on, Gordon and Kim were never apart. They played together on the stairs, they slid down the banister, they climbed on the shelves in the jumbly bookroom. They were very happy. I am so excited. I have met a gorilla called Kim. We are spending lots of time together and are having a great deal of fun. Of course, I do still miss you and Duck and Lion, but if I hadn’t been kidnapped I would never have met Kim. Isn’t life surprising? Thomas, I think I must be in love. Only one more letter was sent by Gordon to his owner in the large city. He was quite nervous about writing it and it took him some days to gather the courage to pick up his crayon. As he wrote, Kim sat quietly by his side. there’s something I haven’t been telling you about Kim, but I’m going to tell you now and I hope you won’t be cross. I think it’s best that you hear it from me. There, I’ve said it. I know it seems a big difference and some people will think a purple gorilla is a little strange and they might not accept us. But I think he’s wonderful and we really love each other, and it doesn’t matter to us that we’re different colours. Will you tell Duck and Lion for me? I hope you will all keep loving me and that I can bring Kim home one day to meet you. I think you would like him. ‘Gordon’s Story’ was first published in Four W 15 (2004): 89-91. It is re-published here, in a slightly revised form, to celebrate the successful passage of the Marriage Amendment (Definition and Religious Freedoms) Bill 2017. The text of the bill and transcripts of speeches are available on the Parliament of Australia website. 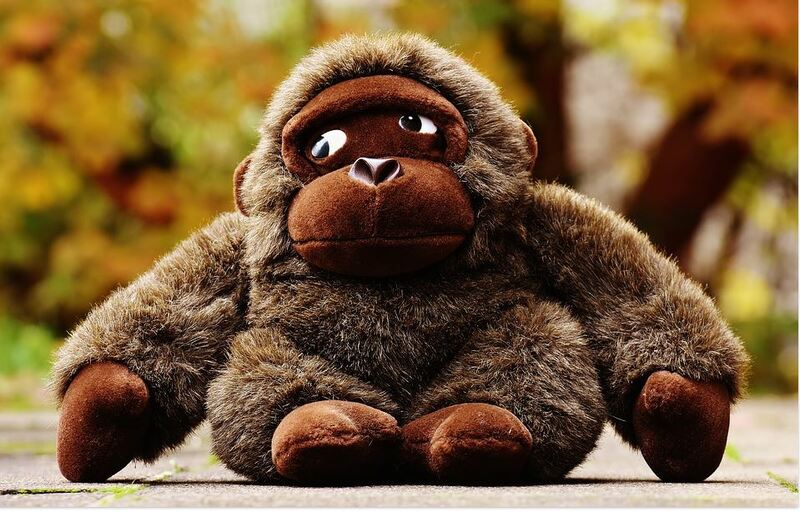 Photo credits: Gorilla, soft toy: http://maxpixel.freegreatpicture.com/ (Creative Commons Zero – CC0). Other photos are free to use and share, but please attribute and link back to the blog. Lovely to read with my coffee. Have been humming ‘We are Australian’ all day!